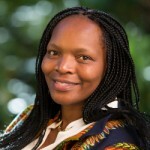 Linda Olayi Mafu is an actvist ,her advocacy skills have contributed in ensuring that there is access to treatment for HIV, TB and other opportunistic infection in South Africa. She also worked in the Sub Saharan Africa facilitating formations of civil society platforms. Her work is influenced by her passion as a human rights Defender. She believes that through partnerships for social change we can make the world a better place for all . She is heading the Political and Civil Society advocacy team at the Global Fund within the External relation’s Division.